Disclaimer: This blog article bears no resemblance to Beyonce’s song not in the spirit or the letter….now read on. I bet you almost trashed this blog before reading on. If you have just read this sentence you are doing so well…read on. Let me take you back to the past – the year is 1980…am still a young boy. I think my father’s Peugeout 404 station wagon is the best car in the world. We live a simple house and I think we are in a mansion. Having chicken and rice once in a month is a big deal. Wearing my Sunday best crowns my wonderful week. Life is great. Life is simple. When my older siblings give me the crust slice of the bread – it’s an act of great favour – and I must be so thankful. I believe that my mother is my guardian angel – if I trip myself, she faults the stone, if I cut myself, she blames the knife. Life is beautiful…life is simple. All things are possible. 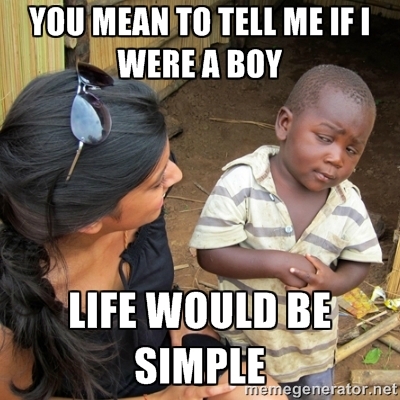 Oh the simplicity of being a boy. Fast forward, 2014. Things must make sense first before I can do them. How we complicate our lives. If God wanted us complicated, He would have created us confused. He created us simple – made us in His likeness so we would never be confused about our identity. He gave us the measure of faith so all things would be possible. He gift-wrapped us in hope so all things would work. He gave us the gift of love so all things would be beautiful. This is the simplicity of life as God created it. Let the girl and boy in you come out. Keep it simple. Believe the incredible, hope beyond what you see and love without reservation. Life is simple. Have an awesome day and remember simple does it! 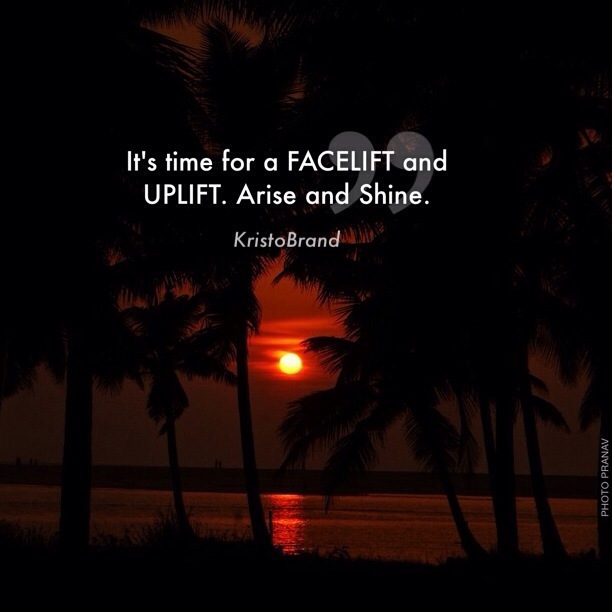 Time for A Life Facelift & Uplift : Arise & Shine! 2. If you are bending over under the weight of challenges today you are free. 3. The indignity and shame of your situation is taken away – you can now LOOK UP . You have a FACELIFT now. I have a major facelift and uplift. Every shame has been replaced with fame. I can rise and shine above the crushing weight of inadequacy, guilty and shame. The New Year requires making a lot of key decisions. Your life is shaped by the decisions you make and fail to make. The quality of your decision making process impacts the quality of your decisions. Jesus chose his twelve disciples after much consideration. These twelve went on to impact the world. How did he do it? “And it came to pass in those days, that he went out into a mountain to pray, and continued ALL NIGHT in prayer to God. It’s extraordinary that Jesus didn’t go in the valley – but went to the top of the mountain. Let me unravel this. I make sound decisions. I gather enough facts and information backed by prayer to make impactful decisions. 1. Consistency is the ability to maintain a particular standard or repeat a particular task with no variation. 2. Consistency produces specific desired patterns of behaviour, intended habits and the attitudes that lead to achievement of your dreams. 3. Consistency is the force that will bring energy to stuttering goals and receding dreams.